0 Comments Published by Jane on Friday, August 29, 2008 at 10:11 AM. As of today, Friday August 29, I have a headcount of 81. My absolute deadline for the DCU Center is Monday September 1 - I have to have my final payment in the mail and at that point the count will be locked (no more additions or subtractions). Our current count of 81 means we have officially outgrown the original meeting room and I have now upgraded us to the Jr. Ballroom. 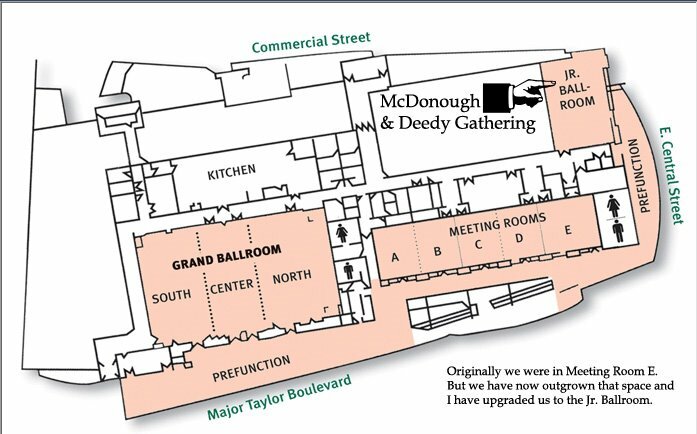 It is located on the 3rd floor of the DCU Center, and as you can see in the image (click on image to see larger) the Jr. Ballroom is tucked around a corner. There should be signs to direct you, but just in case I thought I would post the diagram. You should be able to park on the street around the center (I have been told that parking meters are free on Sunday) or in either of the two nearby parking garages (directions and parking info here). There is a drop-off area at the main entrance to the center and accessable parking spaces are nearby and marked. Note: Some people on the maternal side of my family (Sullivan for example) have contacted me about this Gathering. Just to be clear, this is for the paternal side of my family (McDonough's, Deedy's and those that branch from there). I apologize if my posts about the Sullivan's and Austin's caused any confusion. More Sullivan, Austin, (and other branches) information will be forth coming and a Gathering just for that side will be planned sometime in the future. 0 Comments Published by Jane on Sunday, August 10, 2008 at 11:55 AM. Just a few more weeks until the September 7th Gathering and I am working hard to get everything I need to accomplish done. If I seem to be slowing down on my blog posts that is because I am busy preparing for the event. Don't worry, I will have lots more family history findings to share once things calm down a bit. If you are coming to the Gathering, a morning tour of the St. John's Cemetery is planned at 9:00 AM. This will be before the 10:00 AM event start at the DCU Center. Since both the McDonough's and the Deedy's lived in Worcester, many family member graves can be found at St. John's Cemetery. As time passes, we can sometimes forget just where everyone is resting. 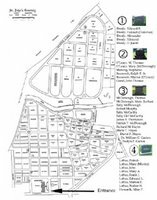 I created this St. John's Cemetery Map to mark the family graves I am aware of. Please print out the map and bring it with you. The cemetery is located on a busy street near an active intersection. I provided some directions on the print-out, but you may want to MapQuest specific directions from your starting point and follow those. I have asked my Father, Tom Deedy, to lead the tour. I may or may not be there depending on how much set-up is required at the DCU center. The tour will start at #1 on the map and continue around the cemetery, ending at #7. Some graves are within easy walking distance of each other, while others will require you to drive. Try to carpool if you can to minimize the number of vehicles and remember to wear sensible shoes. At each grave we plan to lay flowers, say a small prayer, and share any information or stories about those interred. If you are aware of any graves I have missed, please let me know! 0 Comments Published by Jane on Sunday, July 27, 2008 at 6:56 PM. The reply cards have been flowing in all week. As you can see on the sidebar of this website, I have a confirmed head count of 47 (based solely on the number reported in reply cards) as of Sunday, July 27. I know from emails that more of you are planning on attending, so I assume this number will continue to rise over the next few weeks. Based on my preliminary count and guessing at some additional numbers based on email reports, I provided an initial headcount of 56 to the DCU center on July 15th (when I sent in the payment for the room rental). 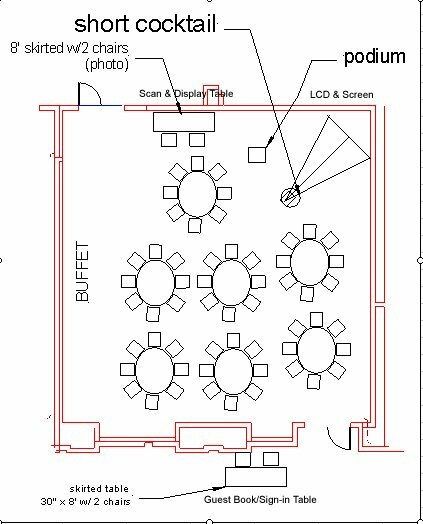 They in turn provided me with the above diagram of how the room will be laid out (you can click on image to see larger). 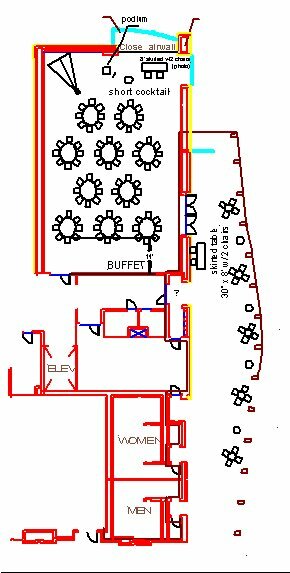 My next deadline for the DCU center is August 18th, when I need to send in my deposit for the buffet. I can continue to add people up until about Sept. 1 when I really have to lock in the room count and send in the final payment for the buffet. If at some point the headcount rises so much that we have to move to a larger room, that is fine - I would just hope we can get that settled sooner rather than later. So if you are still waiting to return your reply card because you are not yet sure if you can come - you still have time. Just please try to get it back to me before August 15 if possible. I chose the "Saratoga" brunch package, since I felt it had the best selection to appeal to both kids as well as adults. If anyone feels that it is lacking something let me know, I can add to the selection if needed. 0 Comments Published by Jane on Wednesday, June 18, 2008 at 12:11 PM. I am very excited to announce that I have my first volunteer presenter for the Worcester gathering! Clare T. has done some amazing research into the Deedy (or more properly Deady) branch of the family. My Great-Grandfather and her Grandmother were first cousins and we share the common direct line ancestors Edmund Deady and Bridget Thompson. I am still looking for volunteers - you can pick any person or topic you think would be of interest to the group (and it can be short). My Father and I will speak as well, but we are waiting to pick our topics until all of the reply cards are back. On another note, I am still looking for more information about the Loftus and McDonough families - preferably something that can help me trace them back to specific cities or towns in England and Ireland. I am also looking for the location of Patrick Loftus (Mary Loftus McDonough's Father) grave site or headstone. I know he was in Worcester in 1900 living with Mary, but I have not been able to track him after that - so any additional information or clues would be helpful. 0 Comments Published by Jane on Tuesday, June 03, 2008 at 3:51 PM. I know that I am horribly late getting the invitations out for the Sept. 7, 2008 gathering in Worcester. But I am printing them out now and working on them - I promise! They should be in the mail very soon. I have finally picked the venue - we will be meeting in the DCU Center in Worcester. 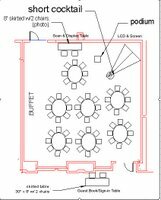 They have smaller meeting rooms on the 3rd floor of the center (accessible via elevators) so we will be up there - not on the main exhibit hall. There will be a brunch buffet served and hopefully that will work for all who are planning on attending. More details will be in the invitations.